Posted September 18, 2009 in Captain America, Matt Kindt. 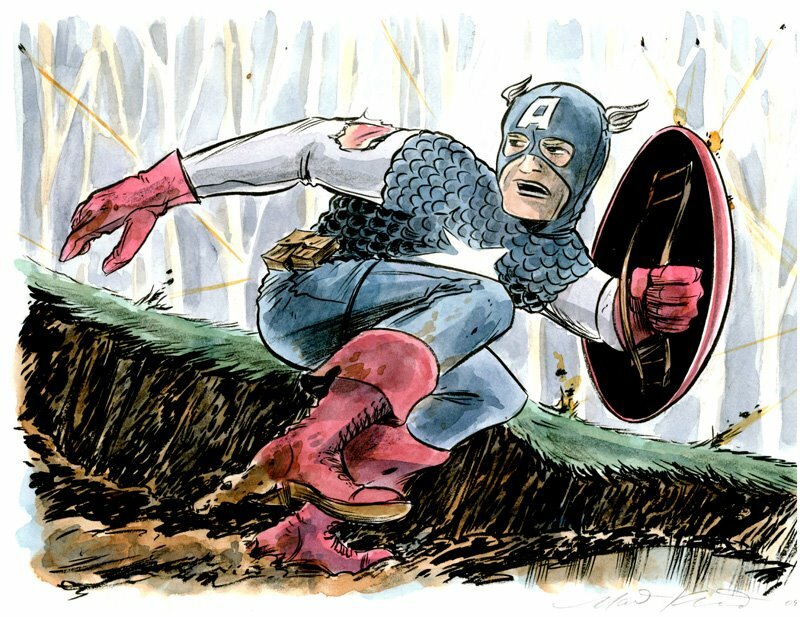 Captain America convention sketch by Missouri based writer/artist Matt Kindt. Matt is the creator of the graphic novels Pistolwhip, Two Sisters, Super Spy and the forthcoming 3 Story: The Secret History of the Giant Man. You can find more of Matt’s work at his website and blog.